SINGAPORE: Malaysia and Singapore have taken another major step forward in the Kuala Lumpur-Singapore High-Speed Rail (HSR) journey, said Singapore Minister for Transport and Coordinating Minister for Infrastructure Khaw Boon Wan. “Today, we called a joint tender for an Assets Company (AssetsCo) for the HSR project. The AssetsCo will supply the systems and trains, and coordinate operations on the HSR network,” wrote Khaw in his latest Facebook posting. 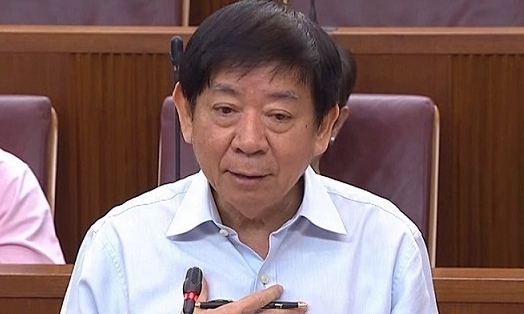 Khaw who is currently the acting prime minister of Singapore noted that the HSR was an important bilateral project. Prime Minister Lee Hsien Loong is on overseas leave from Dec 19-31, 2017. “We look forward to receiving high-quality competitive bids for the tender and will continue to work towards the goal of commencing HSR services in 2026,” he said. “My counterpart, Malaysian Minister (Datuk Seri Abdul) Rahman Dahlan, and I are honoured to be involved in this game-changing project,” Khaw wrote further. He noted that both of them “consulted regularly”. “We were both heartened by the strong international interest in the HSR project. Bidders for the AssetsCo for the HSR project have until June 29, 2018 to submit proposals to MyHSR Corp and SG HSR Pte Ltd.
MyHSR Corp and SG HSR target to jointly select a qualified bidder by the end of next year, both companies announced in a joint statement earlier today.